Next review LeafFilter North - Leaf-Filter gutter systems grow moss! Sep 08, 2016 Hello- Please contact our dedicated service and support team at 800-749-4566. We will be more than happy to discuss your unique situation with you so that we can come up with a soilution. We put a down payment on a work order to hold the pricing of the gutters. Until at such time we had our new roof on. Due to a medical exam I contacted a Jeff Foster at 1-800-980-3579 and was told to write a letter why we were trying to get our down payment of $656.00 returned. I did that and have been calling ever since to resolve this matter. No one will return my calls, I get the **He in not in, He is busy, The Supervisor is out of town. ** What we call the Run-Around. Its bad enough there is a medical issue with my husband but to not address the issue is unexcuseable. Review #205407 is a subjective opinion of blondie1010. Here is a perfect example of why the internet is horrible for stuff like this. This d o p e is looking for Leafguard and now gets on here and posts negative,untrue stuff about Leaf Filter. Now it has been on here for 3 years.There is no excuse for dumb. Jeff Foster was an employee of Leaf Filter in Seattle, not Cincinnati. He is no longer with the company. He was let go a few weeks ago. You need to ask for Mitch Reed. He is the owner and GM of the seattle branch and is the guy to talk to, though I am sure he will give you the same treatment. Jeff Foster is not with LG. Sorry drew, read where she was from. 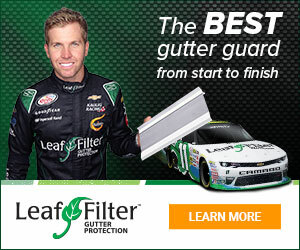 I am the operations manager for leafFilter gutter protection Cincinnati. All I have to say is this. I do not have a sales rep by the name of Jeff Foster and I never have. I do not have any customers with the last name Estell. As a company, not just my office we have never, ever required a down payment and even encourage our customers to never put money down on a job before the work is completed. Any reputable company should be able to provide labor and materials for a job without money down. Companies who are concerned with the quality of work or the quality of there product require money down. We have always been pay upon completion. Now last but not least, to the best of my knowledge leaf gaurd does require a down payment of 1/3 the total purchase price, and furthermore Mr. Jeff Foster is an employee of LG.